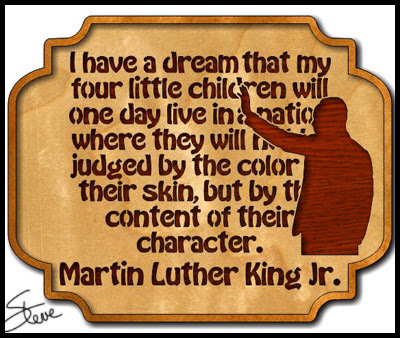 Martin Luther King Jr. (I Have a Dream) Scroll Saw Pattern. 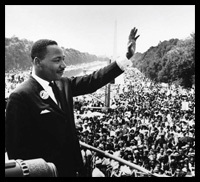 Martin Luther King Jr. "I have a Dream" Speech. This plaque, honoring Martin Luther King Jr. is 12.25 inches wide. Reverend King, will be honored all over the country today for his work in the civil rights movement. In 1964 Rev. King received the Nobel Peace Prize for combating racial inequality through nonviolent resistance. King was assassinated in 1968. Following his death he was posthumously awarded the Presidential Medal of Freedom and the Congressional Gold Medal. It is often forgotten that Rev. King also fought to help the poor regardless of race.